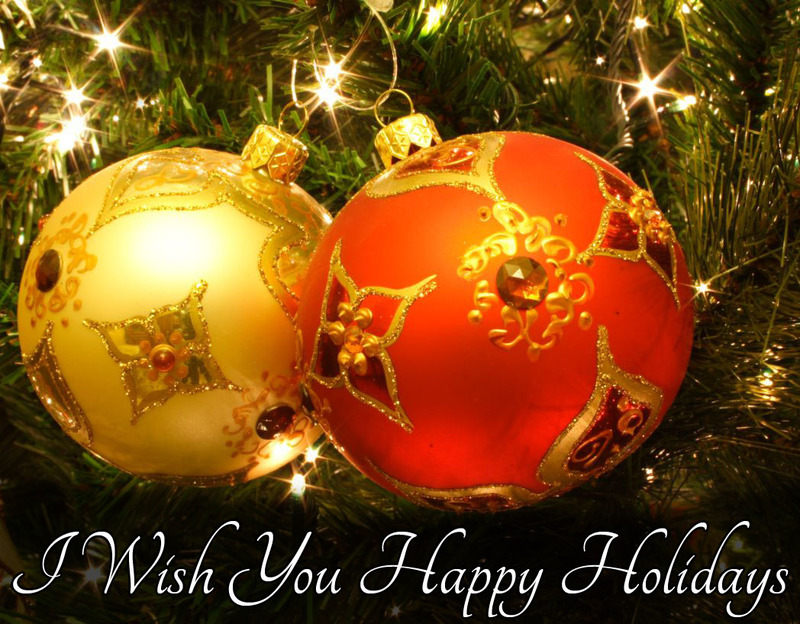 I want to wish you all Happy Holidays. I hope you all will have wonderful Christmas Days with you loved ones. Hope you will spend a nice time with the really important things of life, the family and friends. I look forward to hear from you.